Four US Democratic lawmakers warn against sovereignty over Judea and Samaria, stress importance of two-state solution. Four top US Democratic lawmakers on Friday warned Prime Minister Binyamin Netanyahu not to apply sovereignty over Judea and Samaria, AFP reported. Netanyahu last week said in a television interview that he will apply Israeli sovereignty over Jewish communities in Judea and Samaria if he is re-elected. Netanyahu’s Likud party won 36 seats in this week’s Knesset elections. Earlier this week Netanyahu said that he had already begun laying the groundwork for annexation, and had broached the idea with senior Trump administration officials, adding that the process hadn’t been implemented yet because it “takes time”. 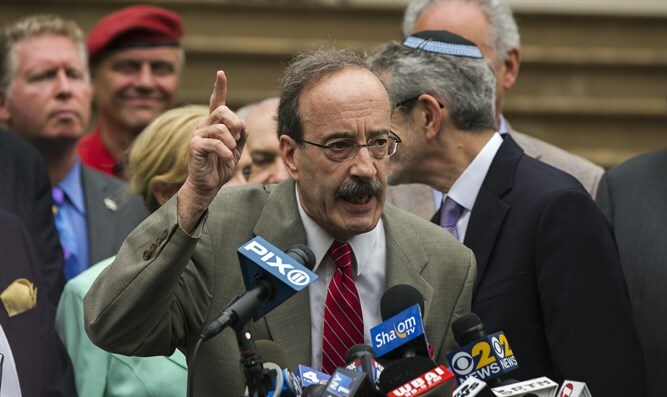 In a joint statement on Friday, the four lawmakers, including Representative Eliot Engel, chairman of the House Foreign Affairs Committee, said they backed Israel's security but were "greatly concerned" about prospects that the Jewish state will unilaterally annex parts of Judea and Samaria. "We hope that any security measures are implemented within the context of preserving the eventual possibility of a two-state solution," they wrote, according to AFP. "Two states for two peoples, negotiated directly by the two sides, with mutually agreed-upon land swaps, is the best option to achieve a Jewish, democratic, secure Israel living side-by-side with a democratic, demilitarized Palestinian state." The statement was also signed by House Appropriations Committee chair Nita Lowey, Ted Deutch -- who heads the House Foreign Affairs subcommittee on the Middle East -- and Brad Schneider, another Democratic congressman known for his support of Israel. All four lawmakers are longtime backers of the pro-Israel lobby AIPAC and broke with their party to oppose the 2015 nuclear deal with Iran negotiated under president Barack Obama. The letter comes as the Trump administration prepares to present its peace plan for Israel and the Palestinian Authority. While little is known about the details of the plan, US officials said this week that the plan will demand compromises from both sides.